People ship copiers for various reasons: end of lease returns, asset recovery, dealer to dealer transactions, Internet sales, remarketing and office moving, to name a few. No matter why you’re shopping for a copier shipping company, Allied Special Products has the right copier shipping solution for you. Office equipment shipping from Allied Pickfords. With Allied Special Products, copier shipping is always handled by trained professionals with many years of experience moving copiers for businesses and individuals, dealers and leasing companies, remarketers and manufacturers. Allied uses its own dedicated high-value products fleet to ensure safe, on-time pickup and delivery every time—at a surprisingly affordable price for its office equipment shipping. Try our quick quote process to obtain a price to move your copier and you’ll see what we mean. Allied specializes in moving high-value items like copiers and has been doing so for nearly four decades, time enough to perfect the copier shipping process. Allied agents and drivers are skilled professionals with many years of experience moving copiers for individuals, dealers, copier leasing companies, copier re-marketers, and copier manufacturers. Our specially-equipped, air-ride trucks will pick up and deliver your copier anywhere in the U.S. Inside pickup and delivery service by two-person crews is standard. At origin, a copier condition inventory is completed and manufacturer name, model number and serial number are carefully checked to make sure they match the shipping documentation. Loading ramps can be risky. That’s why we use hydraulic lift gates, allowing your copier to stay completely still when moving from the ground to the truck. No crating is necessary. All copier shipping orders are wrapped in special protective pads, secured with logistics straps and transported in air-ride trailers that absorb road vibration. Every copier is double-checked before any vehicle movement begins. The final check ensures your copier is ready to make the trip safe and sound.Once at the destination, your copier is carefully unloaded and delivered in exactly the same condition it was in when you shipped it. No surprises. Don’t be fooled. Many so-called copier shipping and end of lease logistics companies are actually brokers without any trucks or drivers of their own. They act as go-betweens, purchasing transportation service from trucking companies, some good and some not so good. 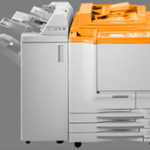 As brokers, their liability is limited if your copier is lost or damaged in transit. But, when you select Allied office equipment shipping services as your copier transport company, you can rest assured your copier shipment will be handled by one of the largest, most experienced and trusted copier shipping companies in the US. Moving copiers and other high-value products that require careful handling is a specialization that Allied has refined and mastered over the years. That’s why we’re the leader in copier shipping solutions and why we’re so excited to share our copier shipping service with you. If you’ve had previous experience moving copiers with other so-called copier moving companies, chances are you’ve had more than one unpleasant experience. But copier shipping doesn’t need to be a hassle. This time, relax and let the professionals at Allied Special Products handle your copier shipping needs. You’ll be glad you did.